Also known as Spanish Slug. 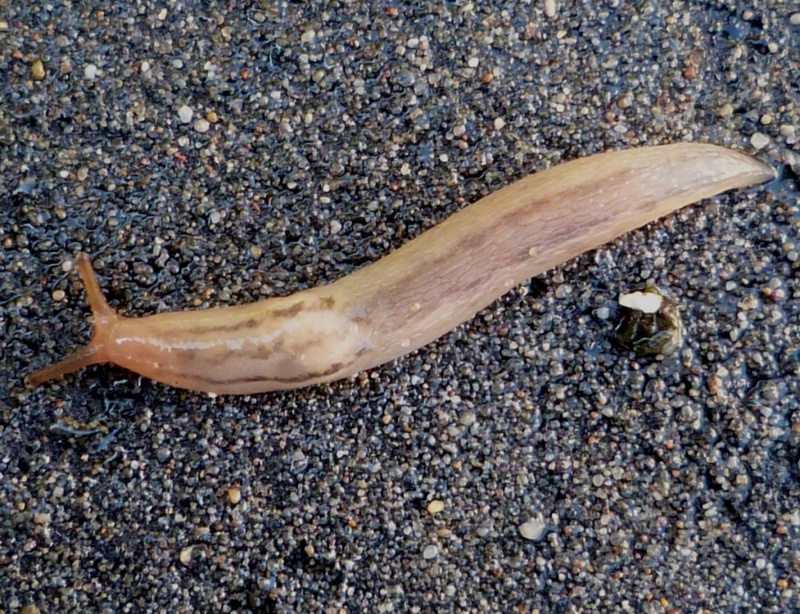 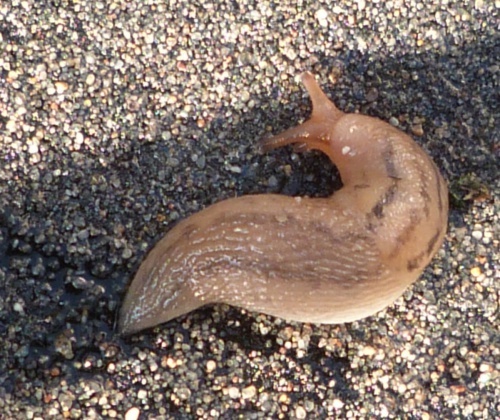 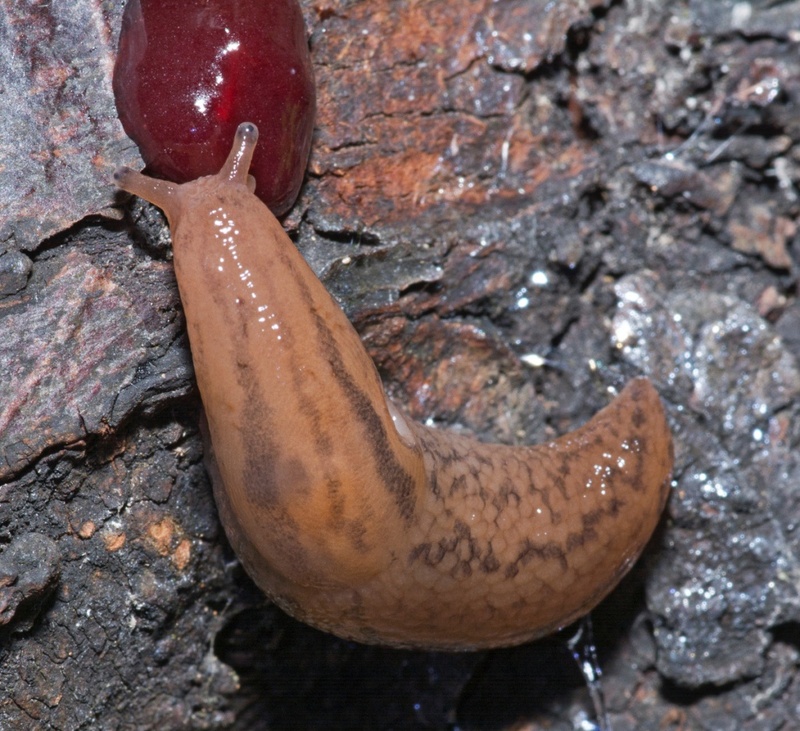 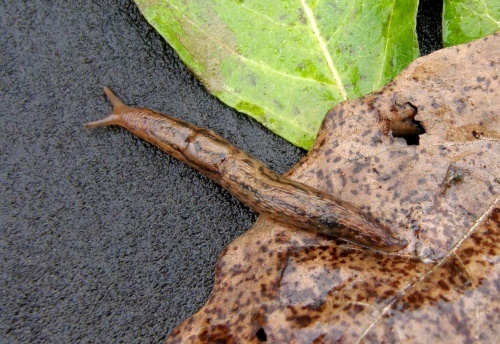 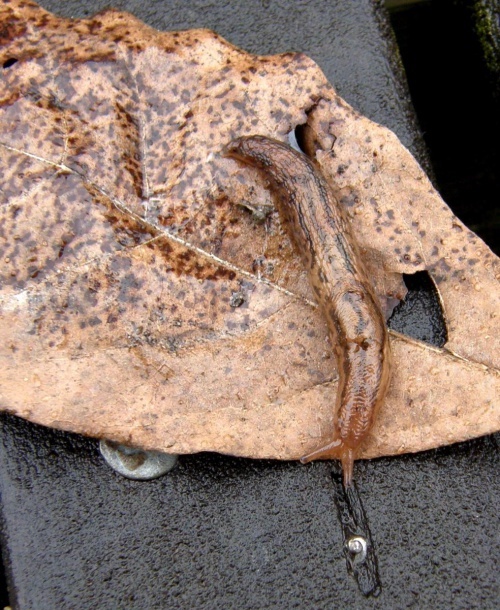 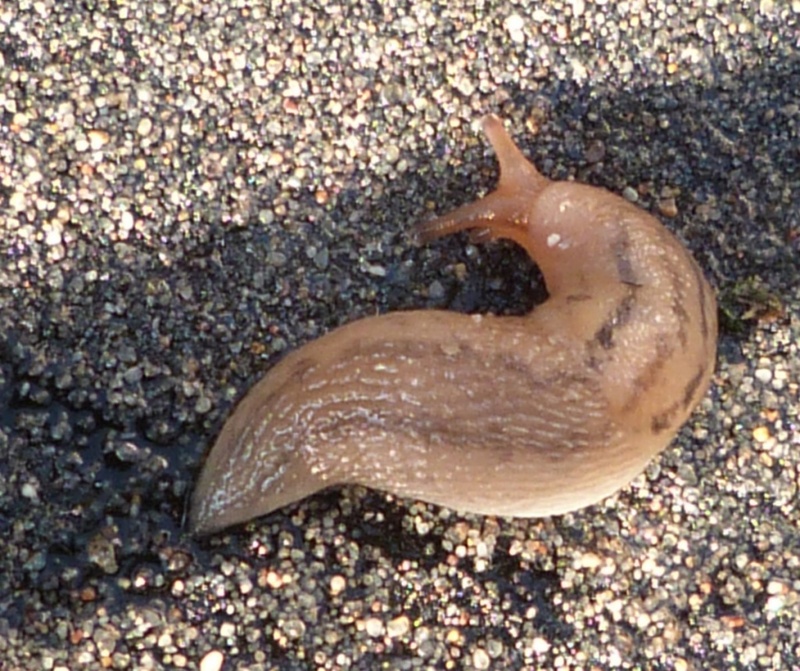 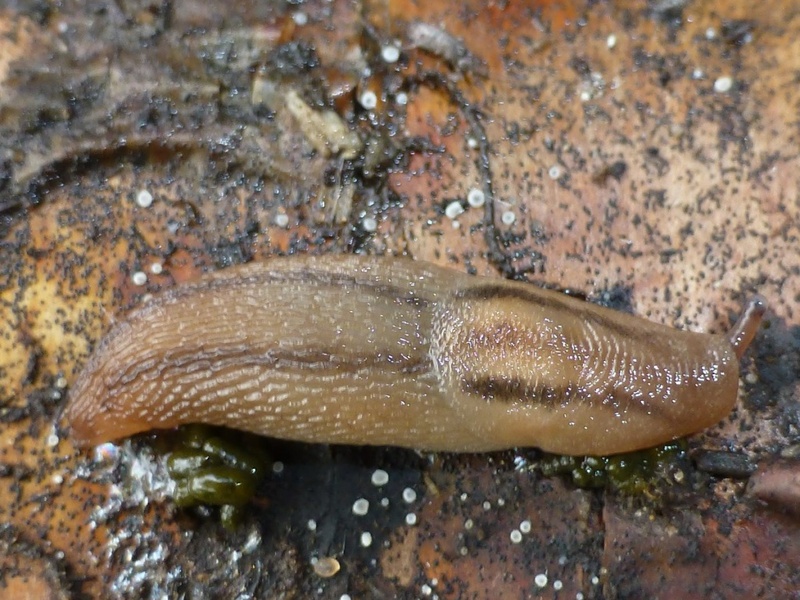 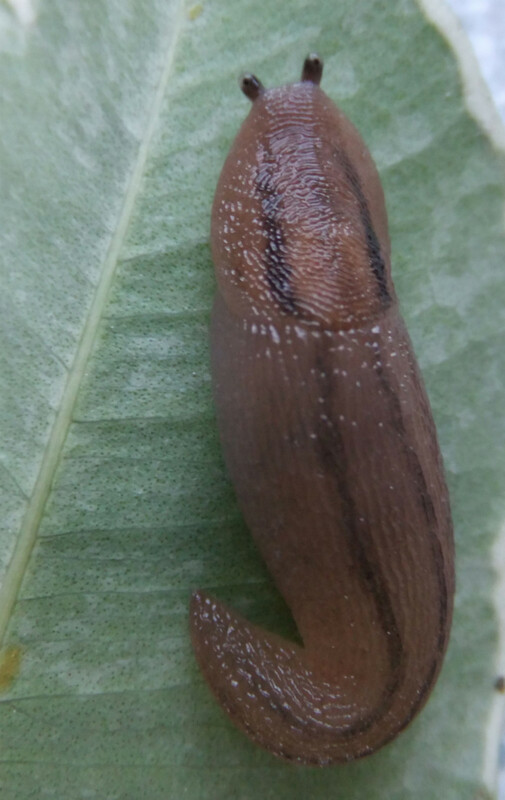 It is a brownish slug with darker bands. 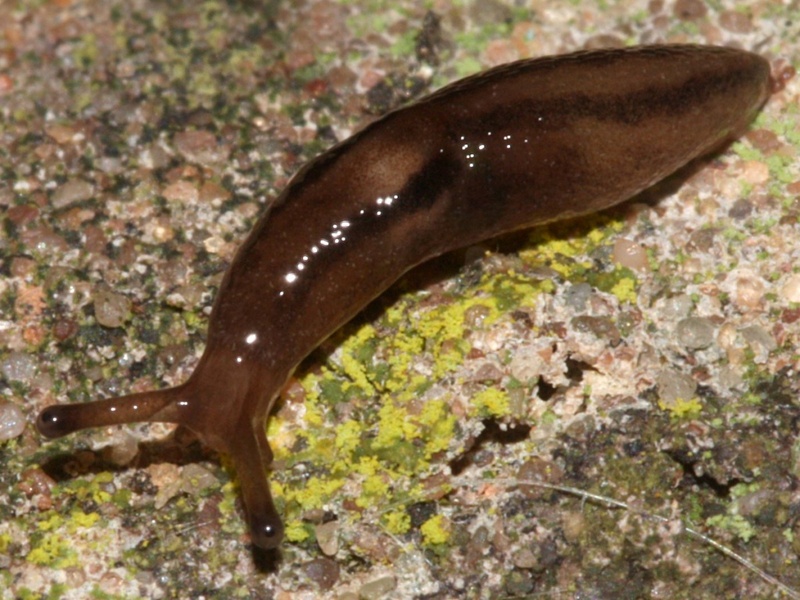 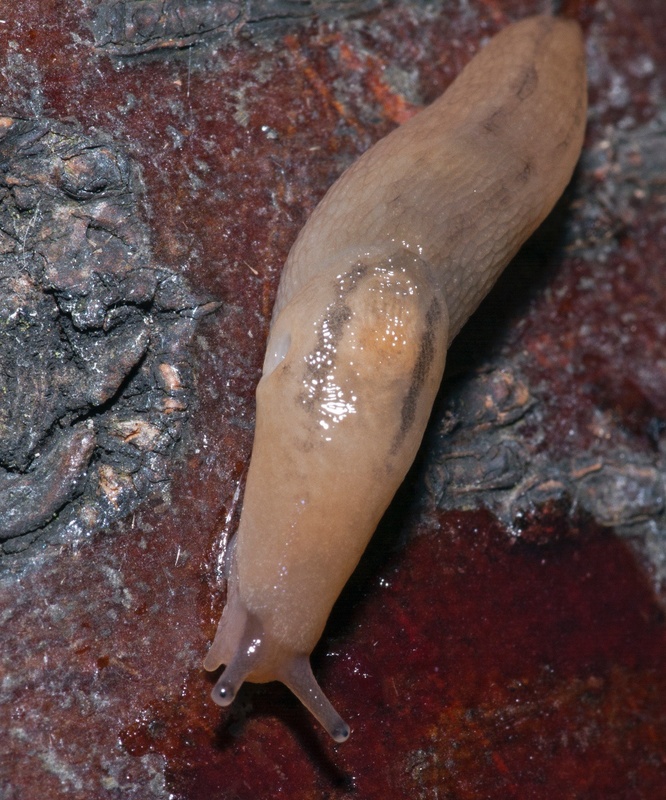 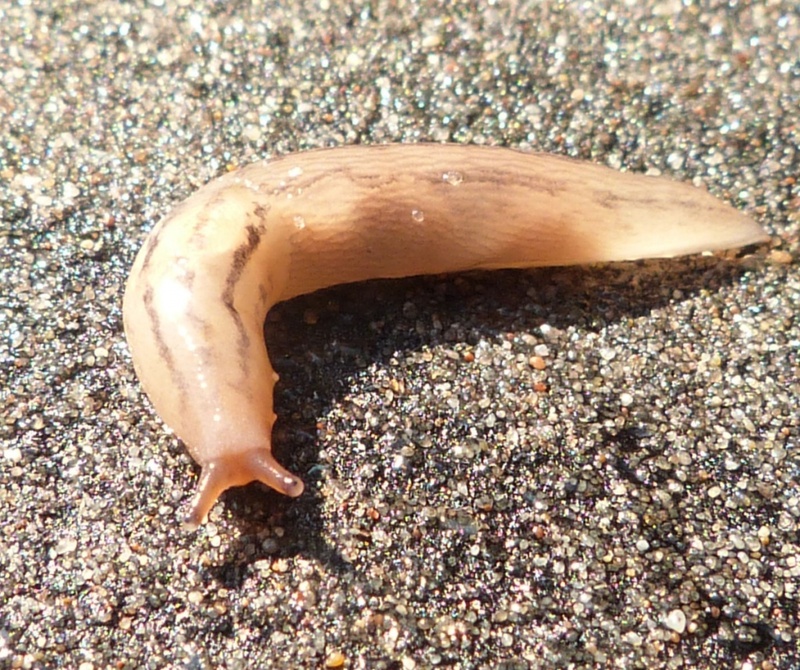 The Balkan Threeband Slug Ambigolimax nyctelius is usually more clearly marked but confidently separating these two species requires dissection. 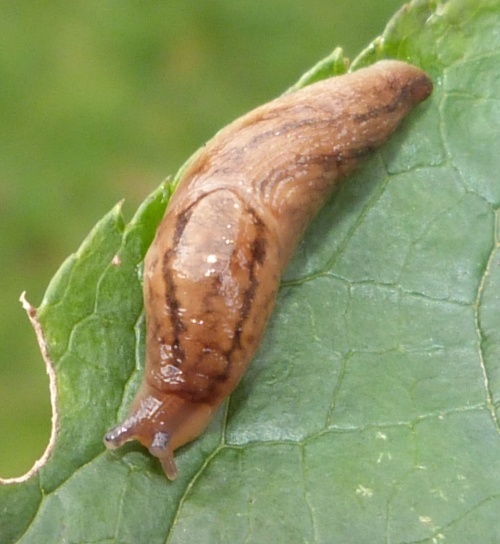 Often found near greenhouses, plant nurseries, allotments, under dead wood and in compost bins. 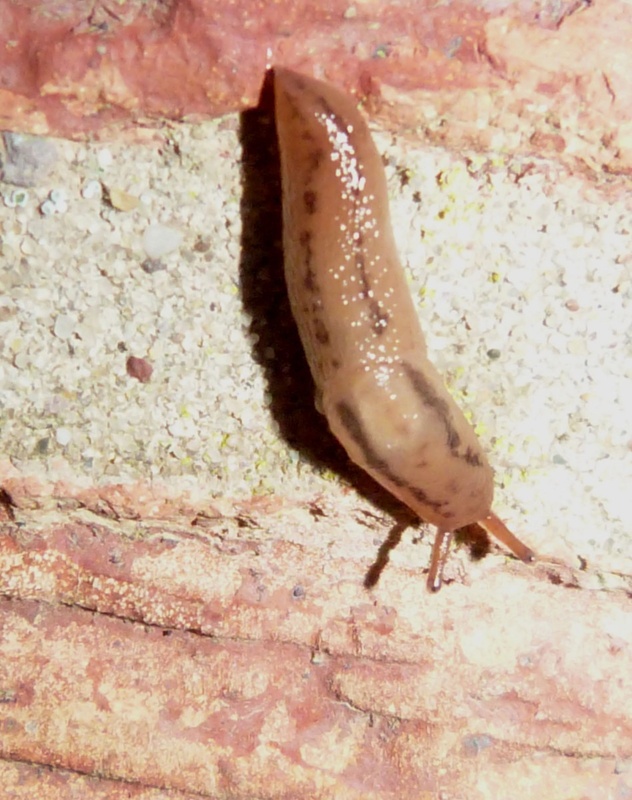 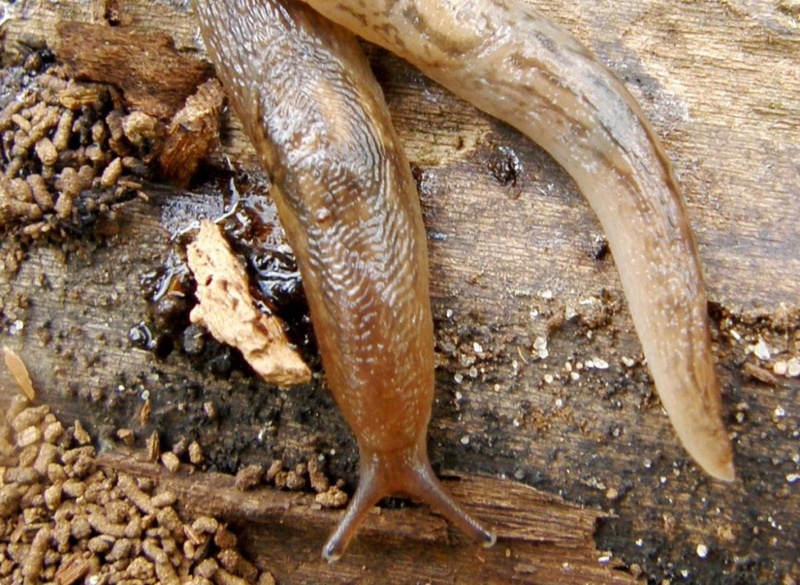 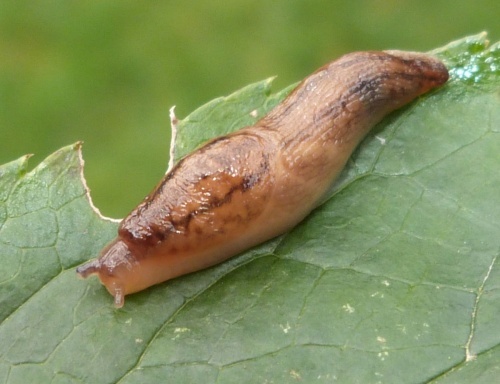 This slug appeared in Britain from Spain and seems to be increasing. Widespread in England, fewer records from elsewhere in Britain.